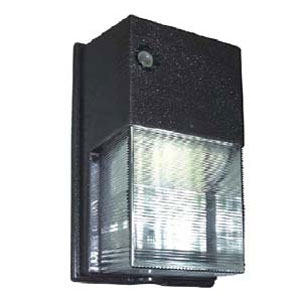 The HWP Horizontal Wall Light is made of a die cast aluminum base plate with conduit access and a corrosion-resistant housing. A one-piece anodized aluminum reflector is designed in conjunction with the diffuser for maximum efficiency. Threaded apertures for conduit and optional photocell. Fully-gasketed, weather-resistant construction. 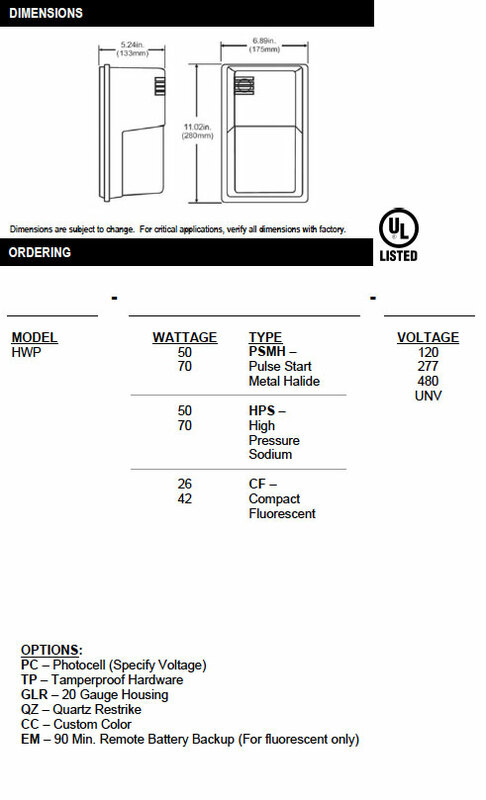 For wall mounting directly over standard 4” outlet box or with surface conduit. Optional tamperproof hardware is available. Baked on premium architectural bronze for maximum durability.